Tim Hinterberger raises a number of valid concerns about the state of marijuana testing in Alaska ("Alaska marijuana testing gets a failing grade," April 26). It is true that there are inherent limitations in the testing process, and a number of the issues Dr. Hinterberger raises have come to the forefront since the initial set of regulations were adopted by the Marijuana Control Board in 2016. In fact, it was his licensed testing facility that first raised many of the concerns that led to the formation of the work group. In addition, contrary to Dr. Hinterberger's assertion, evidence provided to the Alcohol and Marijuana Control Office (AMCO) last fall by Dr. Hinterberger's lab led directly to the investigation into Frozen Budz Product Manufacturing Facility in Fairbanks, which was subsequently shut down by the Marijuana Control Board. But Dr. Hinterberger's criticisms of the actions and processes established by the board are not warranted. AMCO has contracted with laboratory officials in the Department of Environmental Conservation to collect data from two licensed testing facilities to prepare a desk audit to evaluate testing methods, whether there are inconsistencies in methodology, and if so, how best to address them. That audit will be completed within a couple weeks. When it is, the results will be shared with the two licensed testing facilities that contributed data, as well as the board and the public. 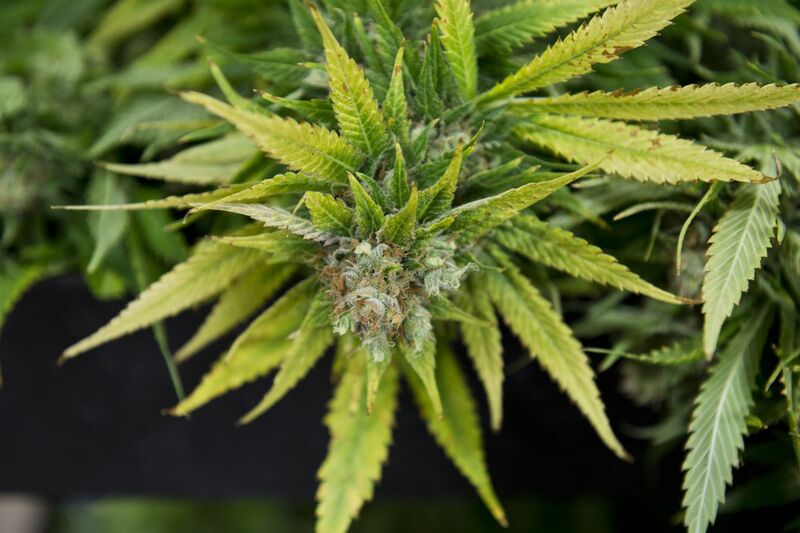 The marijuana testing work group was convened at the request of the Marijuana Control Board to review regulations in the Alaska Administrative Code, identify shortcomings and gaps and propose language that could be clarified or revised. The work group has no regulatory authority. That authority ultimately rests with the Marijuana Control Board, which will be required to put any proposed changes out for public comment prior to adoption. The work group is comprised of more than a dozen members from around the state, and includes representatives of licensed marijuana establishments, public health officials, directors of the state's three laboratories, licensed marijuana testing facilities (including Dr. Hinterberger's business partner) and AMCO's enforcement team. In a time of shrinking state budgets, telephonic meetings twice a month are the most economical way to convene these discussions. As the group works through the issues, they review relevant regulations from other states in order to take advantage of best practices established elsewhere. To date, the working group has discussed sample collection methods, pesticide testing, heavy metals testing and residual solvent levels, but has not settled on final recommendations to forward to the board. The group also intends to discuss packaging and labeling requirements, methods for testing edible products and a clearer definition of "harvest batch." Revising the marijuana regulations is a complex process and cannot necessarily be done piecemeal. It would be disingenuous for the work group to recommend individual regulatory changes before it has identified and discussed all of the issues within its scope. Dr. Hinterberger is critical of the pace and transparency of the work group's progress, but we assure you the group is more interested in doing a thorough job of covering these topics, rather than rushing through this process to satisfy one or two licensees or issues. All recommendations will be presented to the Marijuana Control Board and will be subject to public review and scrutiny, and the work group is dedicated to putting forward recommendations that will be in the best interest of the public. AMCO and the Marijuana Control Board continue to work to establish, maintain, and improve a regulated system for marijuana production and sale that ensures consumers are informed and protected. Brandon Emmett serves as vice chair of the Alaska Marijuana Control Board. Erika McConnell is the director of the state Alcohol and Marijuana Control Office.